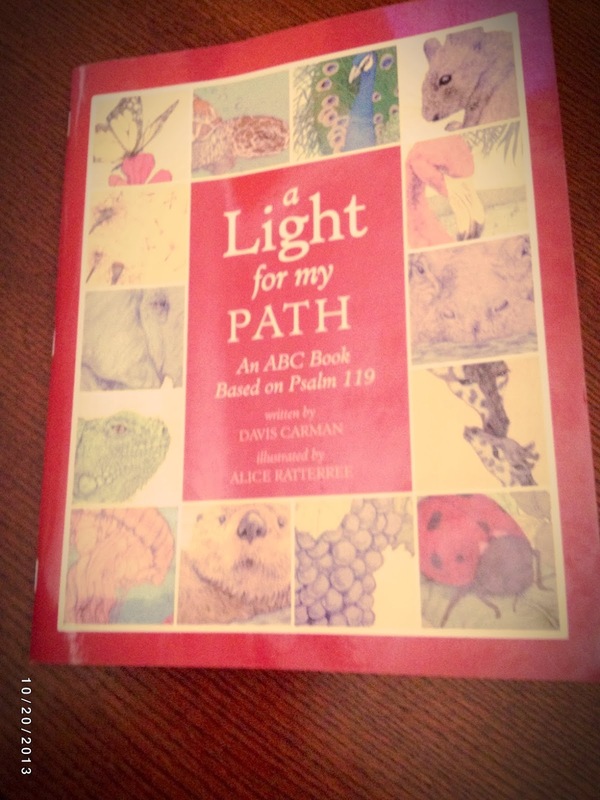 When I signed up to do this review, I admit that I fully expected a simple little child's book of the ABC's using Psalm 119. I have a 4 year old and we are working on our ABC's and thought it would be a great companion to the other things we use. However, A Light for my Path (An ABC Book Based on Psalm 119) that I got was so much more!